These tasty, oh-so-chocolatey treats are gluten free, vegan and even paleo friendly. Rich and fudgey, but not overly sweet, your tastebuds will fall in love with these Cabernet Brownies, not to mention, they are simple and quick to make for all you busy bodies. 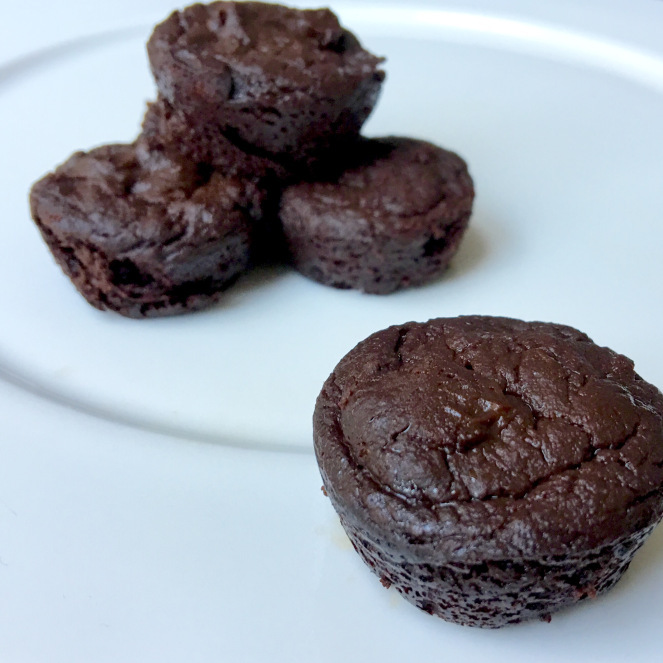 Preheat the oven to 350°F and lightly grease a brownie (or mini muffin) pan. [For an 8×8 pan preheat your oven to 330°F; low and slow]. Using a blender, puree all of you ingredients! (I told you it was simple, right?). Pour the batter into your pan and bake! I used a bite-sized brownie pan and baked them for 12 minutes. Undercooked is okay, it just adds to the fudge factor. For an 8×8 pan, I would recommend baking for around 20 minutes, but be sure to check on them!